The Bitcoin Foundation has published a reply to the cease and desist order that the organization received on May 30 from California’s Department of Financial Institutions. The cease and desist order was a vague one, telling the foundation to “cease and desist from the business of conducting money transmission in this state” without specifying what the foundation was actually doing that qualified as money transmission. There was little to go on; the Bitcoin Foundation is simply an advocacy organization that “standardizes, protects and promotes the use of Bitcoin cryptographic money for the benefit of users worldwide.” It may be possible that the state of California is thinking of a rule that “whoever knowingly conducts, controls, manages, supervises, directs, or owns all or part of an unlicensed money transmitting business” is also guilty of unlicensed money transmission, and they consider the Bitcoin Foundation to be somehow directing the activities of Coinlab, BitInstant and their other major business members, but there is no evidence that the state was actually following that path. The reply that the Foundation wrote back was a strong one, attacking the claim that it was engaged in unlicensed money transmission in California in three ways. The first two parts of the argument are exactly what we would expect. Starting from where the main part of the rebuttal begins, the reply reads, “the California Money Transmission Act regulates only ‘the business of money transmission … in this state’ – namely, California. The Bitcoin Foundation does not have business operations in California that would subject it to the DFI’s jurisdiction. The Foundation is incorporated in Washington D.C., and operates out of offices in Seattle, Washington.” Since the foundation does not actually perform any potentially regulated activities in California, it cannot be regulated by California. 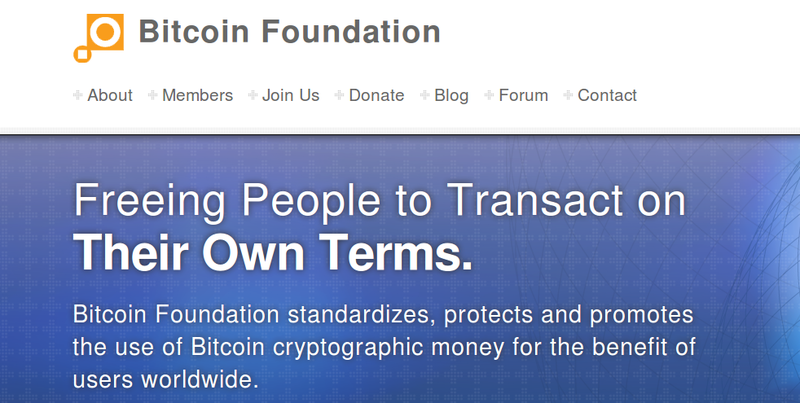 Second, “the Bitcoin Foundation is not in the business of selling bitcoin to consumers and does not otherwise operate a bitcoin exchange” – its main Bitcoin-related activity is simply accepting donations in BTC, which would be very difficult to frame as an act of “money transmission”. In California, a payment instrument is “a check, draft, money order, traveler’s check or other instrument for the transmission or payment of money or monetary value, whether or not negotiable” … In July 2001, the California Department of Financial Institutions released a letter on the “sale of ATM-accessible cards clarifying that “an ‘instrument’ is a written, signed document that it is similar in nature to a check or a draft, even though not negotiable. We have,therefore, not viewed electronic media, such as stored value cards, as payment instruments” … Bitcoins are not written or signed notes or drafts, and therefore, are not payment instruments regulated by the California Money Transmitter Act. Even if bitcoins are classified as “instruments,” there exists no “issuer” of bitcoins under California law because no entity acts as the “maker or drawer” of bitcoins, and no entity is fundamentally liable for payment. Stored value is “monetary value representing a claim against the issuer that is stored on an electronic or digital medium and evidenced by an electronic or digital record, and that is intended and accepted for use as a means of redemption for money or monetary value or payment for goods and services” … Bitcoin might be described as a “medium of exchange, whether or not redeemable in money,” and therefore be considered monetary value, but that monetary value is not fixed – it varies with the determinations of the market. Furthermore, bitcoin never represents a claim against an issuer, because there is no issuer of bitcoin. Bitcoin is therefore not stored value as that term is defined under California law. California law defines money transmission as “receiving money or monetary value…for transmission.” The plain language of this provision indicates that money transmission occurs when money is received and transmitted or when monetary value is received and transmitted. In other words, the statute, on its face, requires parity of currency on either side of the transaction -money received and transmitted or monetary value received and transmitted. This conclusion is confirmed by the DFI’s December 6, 2011 opinion letter entitled “Foreign Currency Exchange Services – Not Subject to money Transmission Act.” In that opinion, the DFI determined that the receipt of dollars and the delivery of pesos for a fee did not constitute money transmission. Simply put, this is huge. The foundation has taken the DFI’s claim that it is engaging in money transmission and transformed it into an opportunity to argue that selling bitcoins is an entirely unregulated activity in the state of California. The letter finishes off by actually requesting a reply from the DFI confirming the validity of their arguments. The other half of operating a true Bitcoin exchange, buying bitcoins (ie. selling USD and taking BTC as payment), was not addressed by the letter; a layman’s reading of the above definition of money transmission suggests that bank transfer withdrawals may be covered under stored value but selling cash in the mail (or cash from a two-way Bitcoin ATM) is free and clear. Even if only selling BTC is legal, however, buying bitcoins is the far more pressing side of the Bitcoin exchange equation; “selling” BTC is already relatively easy with platforms like Gyft and the various Bitcoin-accepting stores. If the foundation proves to be successful, California may well become one of the more Bitcoin-friendly states in the country – although hopefully others will follow suit.